Preheat the oven to 180’c. Place all the ingredients, except the cabbage, into your roasting pan and drizzle with melted chipotle butter. 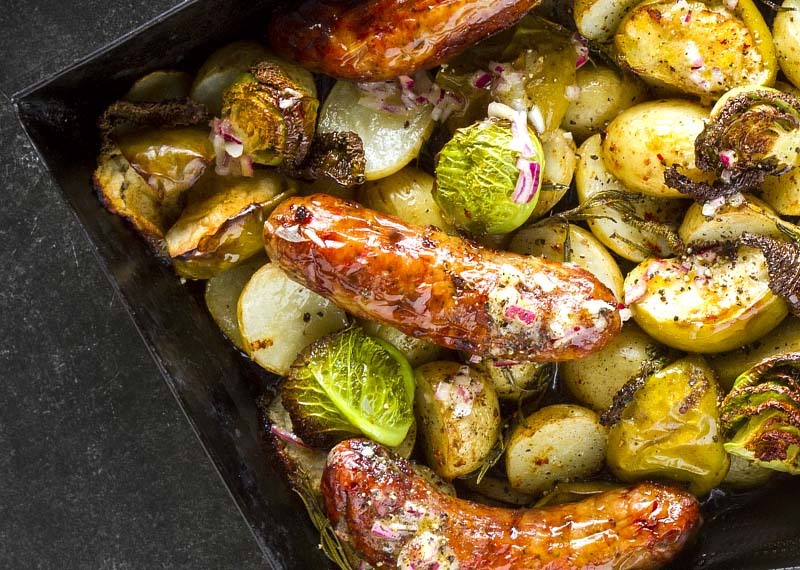 Roast for 40-45 minutes, until the potatoes are soft and sausages cooked. Turn the sausages half way through the cooking time and add the cabbage in the last 15 minutes of cooking. Mix the dressing ingredients and season to taste. Remove the roasting tray from the oven, drizzle with the dressing and serve hot.